So now Polar relies on Garmin's technology for their stuff... which is not exactly the best strategic positioning.. 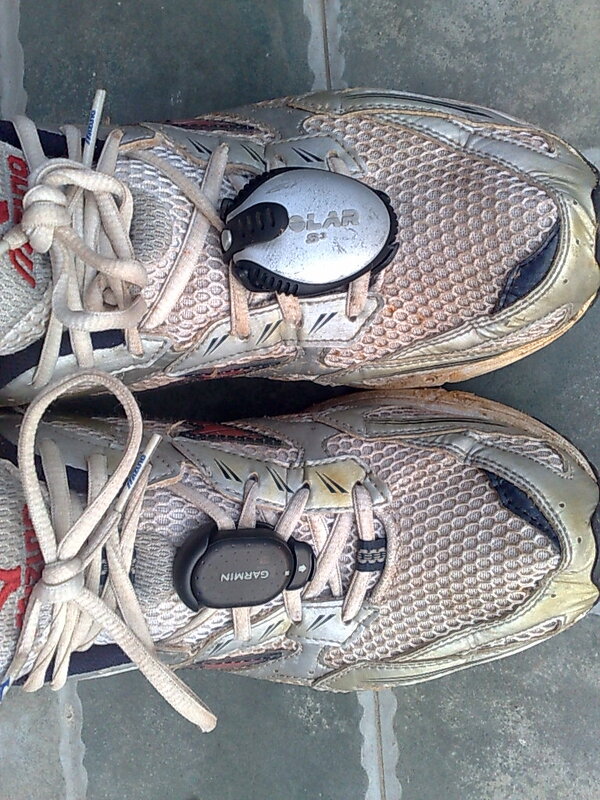 I found that the real beauty is when you can integrate the data coming from GPS with the accuracy, speed of response and reliability of the foot-pod system. Price was 650 HKD which was sensibly cheaper than the RRP in USA (99USD)... so if someone is interested, let me a comment and I will refer the shop. My Polar pod was already calibrated, so I went for a calibration of the Garmin's one, which is extremely simple: once the pod is recognized by the wrist unit, I selected the calibration function and you are given the choice to calibrate by a fixed distance (eg: 400m, 1k, etc) or using the GPS. I went for the GPS system calibration and went for the run... after a while (I suppose it was 1 mile) I got the message that the pod was calibrated with calibration parameter 1008 (factory setting is 1000). I was talking to a guy at a race last week, he'd had the same problem with his 405 and he knew other people with the same 405 problems. Interesting stuff, I'll follow it and will do some use of those as well. 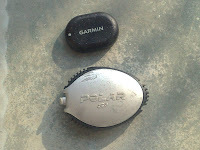 I used the polar 800 for a few years and I have a Garmin 310xt since 6 months, and I like it. 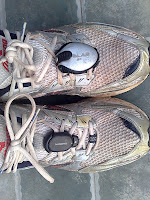 I'm curious to try the footpod (I'll see if I find a cheap one on ebay). I just did a 100km sweating my own soul and the only problem was the cardio giving wrong values but the watch was 100% working and the battery lasted for all the race without problem. 1) I have been told that the new HR soft strap from Garmin goes crazy when it is really wet (here in HK is not difficult....). I mean new kind of soft strap which is similar to the Polar's one. 2) the latest firmware of your Garmin 310 makes the watch also good for swimming (open water). Thanks for your comments in my blog. You mentioned about sporttracks. What are the main benefits compared to the Garmin's training centre? Is it better distance accuracy, elevation profile or something else?